It is easy to get caught up in the excitement and anticipation of a date and not think about what will happen at the end of the night. After a few drinks or a fun evening, getting home safely might not be at the forefront of your mind, but it is important to end the evening well. Thinking about this in advance means it won’t have to dampen your evening when it’s time to leave. As the boy scouts sensibly noted “always be prepared”. If you have already made plans to get home then you are much less likely to make misguided decisions after a few drinks or in the heat of the moment. The best plan is to book a taxi home in advance but if you want to have more freedom than this then be sure to have a few numbers in your phone. Your date may seem like a nice person and you might feel that you are being paranoid not trusting them, but it is much better to be safe than sorry. Until you know them well it is not advisable to get in their car or accept any transport from them. This still applies after a few dates as they may have been working to build your trust in order to take advantage of you. It is a good idea to tell a friend or family member where you are going, with whom and when you plan to be back. Contact this person when you return from the date and make sure they will check up on you if they don’t hear anything. After a night of drinks and dinner or at the end of the month you often feel the need to save a bit of money. Getting home from a night out is not the time to be penny pinching though. The few quid you might save by walking home or taking a dodgy mini cab is really not worth your safety. Plan ahead for the cost and get your priorities right. In an ideal world our plans would always work out but unfortunately that’s not always the case. Even if you are sensible and book a taxi in advance you should have other options. 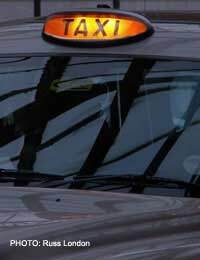 Take along spare taxi numbers, know where to get the night bus from or have a friend you can call for a lift. There are a variety of different alarms available, some as small as a keyring. They make an extremely loud, high pitched noise when activated and will instantly draw attention to any situation. Ask your local police station if they provide them and they are usually available free of charge on university campuses. If not, they can be bought from the internet or supply shops for less than £10 and are a sound investment. So plan ahead, know your options and make sure you have a few different ideas about how you can get home safely. It’s not worth ruining a great night out at the last hurdle.